KIBERA SLUM – MARCH 24: When this 42 year old Kenyan woman started bleading during pregnancy, a "chemist" in the slum of Kibera suggested she abort the child in order to stop the bleeding. She could not afford to pay for a safe termination so she opted to keep her baby. She has now suffered from a fibroid for the past 15 years. She states that she has been bleading since that time, and again, can not afford the procudure to have it fixed. The restrictive abortion law negatively effects the low income women, living below the poverty line on less than a dollar a day. 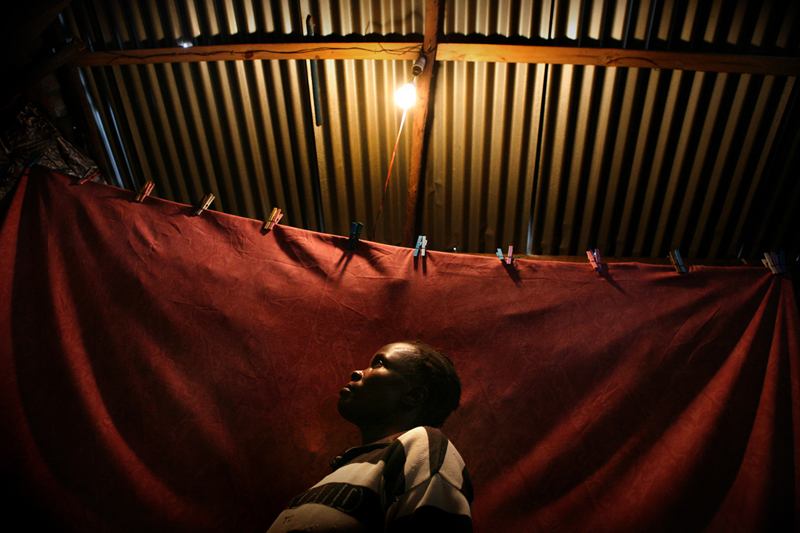 She is pictured in her house in the slum of Kibera in Nairobi, Kenya on March 24th, 2011.